In case you don’t know, I’m writing my next book about Thai broths and soups. 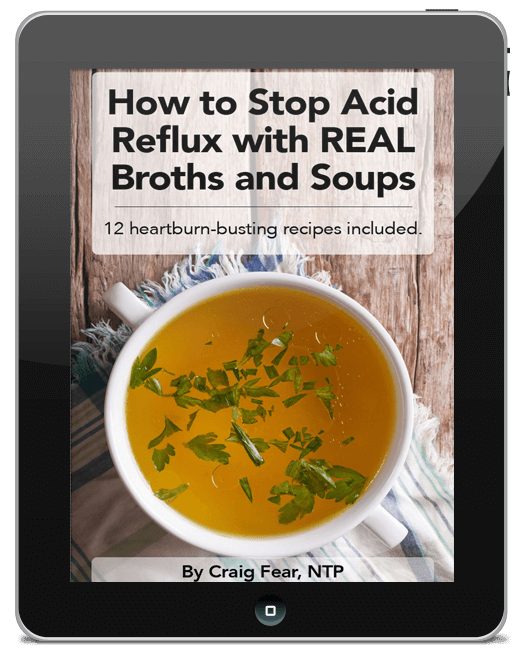 It’s sort of a follow-up to my last book, Fearless Broth and Soups, and it’s my hope that it will lead to more books on the broths and soups of various countries of the world. Kind of a pipe dream at the moment but if you ask me what I really want to do, it would be to travel the world and write about broth and soup (I’m guessing that sounds either really cool or really weird). So the reason I’m writing my next book is that I’ve traveled to Thailand on several occasions and found that so many Thai soups are broth-based, naturally gluten and dairy-free and contain lots of medicinal herbs, spices and roots. Most of these soups are not well-known outside Thailand and can be very helpful for a wide range of health issues but especially gut issues. I promise you there’s A LOT more to Thai soups than just coconut curries (which are more stew-like than soup-like). But I kept running into one “problem” over and over. Many Thai soups tend to include white rice and sugar. And this doesn’t look good when you’re writing a book with recipes for gut health. To defuse any potential concerns, I’m writing a short chapter in the book explaining why these two typically demonized foods are not always bad for you (I’ve already discussed white rice in a recent post). Well it just so happens that Thailand is a good country to explore how to use sugar in a healthy way and the type of sugar to consume, especially in the context of Thai soups. Of course you already know from the title of this post what I’m talking about. 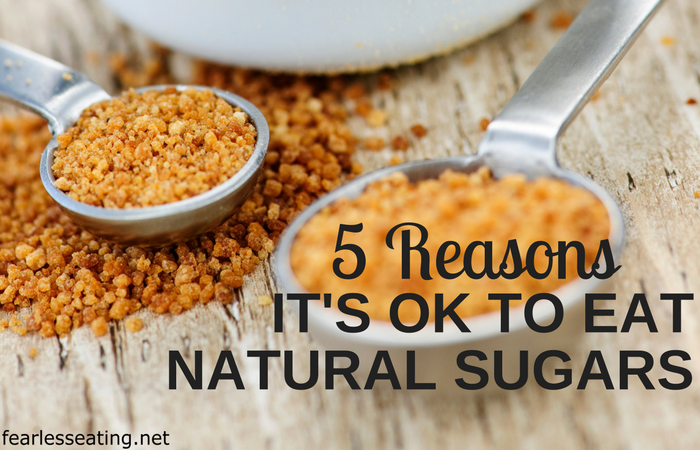 So on that note, let’s briefly explore 5 reasons why it’s OK to eat natural sugar. Historically, almost every culture learned to take the natural sugars from their local environment and use it in their cuisine as sweeteners. Honey is the most obvious example. All around the globe fruits have been dried to concentrate the sugars or pressed for their juices and added to foods. Even sugar cane, the primary source of refined sugar today, has long been concentrated into a natural sweetener known as jaggery, which is still popular throughout the eastern hemisphere. Another very common worldwide source of natural sugar is the sweet sap that flows from trees. You probably know that in late winter and early spring, throughout the northern US and Canada, the sap from maple trees starts flowing which is turned into maple syrup. This process is very similar to the sap that flows from the many different types of palm trees in Asia and Africa. Yes, palm sugar is the maple syrup of Thailand. And it is still used extensively throughout the country and exported throughout the world. It has a rich creamy caramel flavor (but isn’t nearly pronounced as say molasses) that adds a depth to soups that other more granulated natural sugar just can’t match. If you’ve never tried it, I’d HIGHLY recommend it. And you can use it for many other uses other than soups. You’ll probably need to find it in an Asian food market as I’ve yet to see it in places like Whole Foods. You’ll mostly find it in two forms, a syrupy paste (though not as viscous as maple syrup) or in hardened blocks (which can take different shapes). 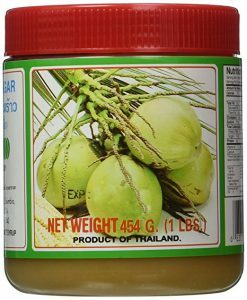 If you don’t have an Asian supermarket nearby, there is one good quality product for sale on Amazon, Eastland Palm Sugar, which is directly from Thailand. Again, it’s not as syrupy as maple syrup. You’ll have to scoop it out of the container with a spoon (kind of like ice cream) and dissolve it in whatever you’re adding it to. But it’s really worth experimenting with if you’ve never tried it. It has such a full, rich flavor and it’s the primary type of sugar I now use in Thai soups. But if you want to stick with something more familiar, well there is another type of palm sugar that is easy to find. This is a trendy natural sweetener that you’ll now find in health food stores. What most people don’t realize is that coconut trees are a type of palm tree and thus coconut sugar is a type of palm sugar and will often be referred to as “coconut palm sugar.” It comes from the buds of coconut tree flowers (as opposed to the sap) and not the actual coconuts (so there’s no coconut flavor to coconut sugar). Coconut palm sugar has more mild flavor than regular palm sugar and is also commonly sold in granulated form similar to refined sugar. Check out this cool video for how coconut sugar is traditionally made in Thailand. Another benefit of coconut sugar is that it’s a very sustainably produced natural sugar. There’s been a little controversy over this but Food Renegade wrote a great post recently explaining why coconut sugar is sustainable. Click here to see a good quality, sustainably produced coconut sugar. In recent decades, there has been a widespread awakening of the risks associated with a diet high in refined sugar. Many people are now going completely sugar-free with striking improvements to their health. I’ve seen this first-hand in myself and with many of my nutritional therapy clients. While this is great that doesn’t mean all sugar is bad for us. Natural sugars contain small amounts of nutrients such as minerals, vitamins, enzymes and fiber. But this doesn’t mean one can simply substitute a large amount of natural sugar for an equally large amount of refined sugar. Natural sugars are still concentrated forms of sugar. If you’re into real, traditional foods and want what I consider the best cookbook ever written on the subject (even better than Nourishing Traditions! ), don’t hesitate to pick up a copy of Full Moon Feast. It’s absolutely brilliant. 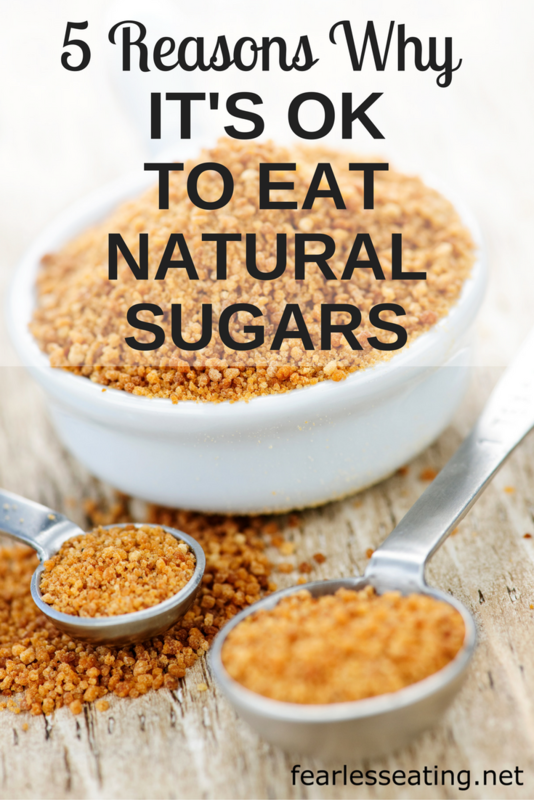 Beyond using natural sugar in moderation, there’s another aspect that it will bring to food. Let me use Thai soups as an example. They are not meant to make them sickeningly sweet. But that’s really hard to do in soups anyway because super sweet soups are just well, kind of gross. When adding sugar to soup, you do it slowly, to taste, like they do in Thailand. In fact, on every table in every Thai cafe and restaurant is a caddy of typically four seasonings one of which is sugar. It’s meant to harmonize other flavors, in particular, spiciness, as sugar tempers the heat of chilies. It also adds contrasting notes to sour, bitter, and salty flavors too. When used in this way, natural sugars can be consumed the way they were meant to be consumed – in moderation, and like white rice, in balance with other foods. This is the way all cultures used natural sugars before the advent of refined sugar. 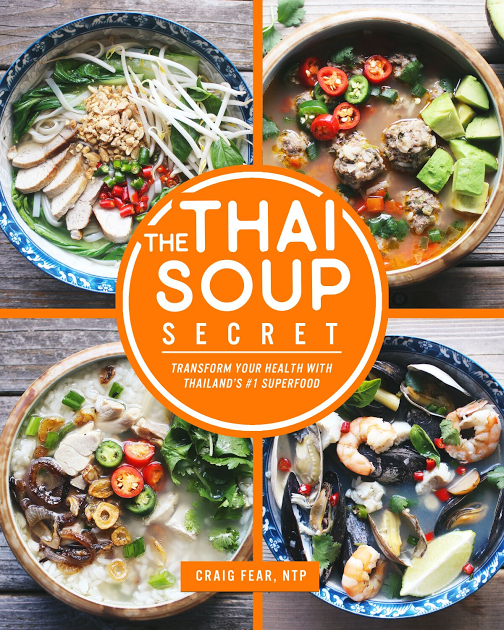 Update: my new book, The Thai Soup Secret, is now available! Click here to learn more and download your copy.